Need to spruce up your kitchen with little time or money to spare? Learn how to make the most of the kitchen you have right now by using these quick tips that will transform it for the better in no time. Nothing transforms a space as effectively as applying a fresh coat of paint. If your walls are looking a little grimy or your cabinets are in need of a little TLC, head to your local hardware store to breathe some life back into your kitchen by adding a new coat of paint wherever necessary. Remember to choose something bright, neutral, and airy that will match your overall design. Another super simple way to spruce up your cabinets is by changing up the hardware on them. Years ago, you’d be hard pressed to find interesting styles to choose from, but today, there are countless patterns, colours, and styles that will let you add something unique to suit your preferences. Lighting is essential in any room, so if you want to add a touch of flair to your kitchen in one easy swoop, installing an eye-catching pendant light can do the trick. Swap out your decade-old fixture for something more modern and visually appealing. 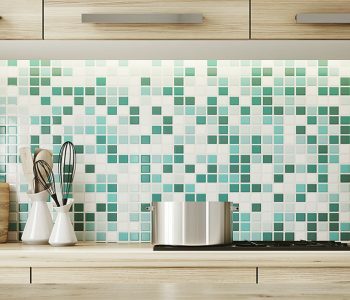 Replacing or installing a backsplash is also a reasonably easy way to make the most out of the kitchen you have now with minimal effort. Since it’s located around eye-level, adding a unique pattern or colour here can work wonders for enhancing the look of your kitchen without breaking the bank. If your countertops are looking worse for wear, then replacing them might be an option worth considering. Countertops are always major components of any kitchen design since they take up a large amount of visual space. Materials like granite or quartz are most popular since they look stunning, they’re durable, and will last many years with little maintenance. When your kitchen is in need of some love, you don’t always have to resort to a major remodel. You’d be surprised how easily you can improve the look of it by updating some of these key areas. To learn more, contact us at Granstone. Our team of professionals can help with any of your kitchen reno needs.